In a shocking video from Venezuela, we learn that it takes approximately 5 years for society to break down into a full-on Mad Max scenario. Watch below as a group of motorcyclists attacks a truck carrying sugar by surrounding the vehicle and tossing grenades in front of it. This could be a scene from practically any post-apocalyptic movie made by Hollywood, minus the fancy camera angles. Notice how only one vehicle turned around and left, and the others stopped so the motorists could get their own bags of sugar? Add “driving a truck” to the list of The Most Dangerous Jobs in Venezuela. For anyone who believes the disaster myth narrative that no one panics, loots, or becomes violent, and thinks that society would just carry on, but be a little more broke after an economic collapse, this should clearly illustrate that people will devolve. Think about it. If you were desperate…if your child was hungry…is there anything you wouldn’t do to feed them? Joshua Krause explored how people really behave during the aftermath of an epic disaster. Are you really prepared for a scenario like this, when the rules of society crumble and all you have is what you held on to when the event kicked off? If you aren’t well-prepped, take a look at this article and this book to get you headed in the right direction. This is desperation born of socialism, something that so many voters in our country were eager for with the advent of Bernie Sanders during the last election. This could have been us after 10 years of “redistribution” but for some strange reason, Sanders voters think his version of socialism is different. Throughout history, it has always ended up the same. At first, it’s great and everyone is happy. But then, things go downhill and it’s too late to fix it. And it turns into this because people have become hungry and desperate. When people are disarmed, when agriculture is centralized, and when supplies are rationed, things change. 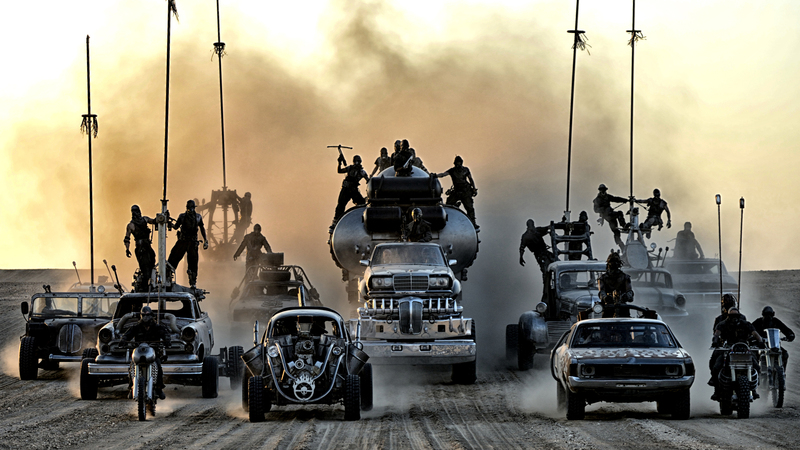 The scene above could be a scene from any Mad Max movie in the past 30 years, but it’s happening for real, right now. This was for bags of sugar. Sugar is now worth risking your life for in Venezuela. Next The Visa Cashless Challenge: Visa Offers Restaurants Up to $500,000 to Go "100% Cashless"